In this article, media experts Howard Rheingold and Eric Kluiten­berg ask us to consider if unques­tioned connectivity – the drive to connect everything to everything, and everyone to everyone by means of electronic media – is necessarily a good thing. To stimulate ideas, the authors propose a possible alternative: a practice of ‘mindful disconnection’, or rather the ‘art of selective disconnectivity’. i-See, The Institute for Applied Autonomy (USA). Although I have devoted decades to observing and using participatory media – from tools for thought to virtual communities to smart mobs – I want to propose that disconnecting might well be an important right, philosophy, decision, technology, and political act in the future. Perhaps the act of mindfully disconnecting specific times, spaces and situations in our lives from technological mediation ought to be considered as a practical form of resistance – an act of will on the part of individual humans as a means of exercising control over the media in their lives. It remains uncertain whether it is possible or preferable to disrupt the technological augmentation of human thought and communication that is becoming available to most of the earth’s population. We are not as convinced as others that technology is only, primarily, or necessarily a dangerous toxin. There is a danger in locating technologies’ malignancies in the tools themselves rather than the way people use them and mentally distancing us from responsibility for the way we use our creative products might diminishes our power to control our tools. We are increasingly convinced, however, that we need to resist becoming too well adapted to our media, even as creators. Perhaps tools, methods, motivations, and opportunities for making the choice to disconnect – and perceiving the value of disconnecting in ways of our choosing – might be worth considering as a response to the web of info-tech that both extends and ensnares us. Resistance to the pressure to adapt ourselves to our tools is not a new idea, but neither Lewis Mumford, who traced the ‘megamachine’ back to the ziggurat-building potentates of the first agricultural empires,1 nor Jacques Ellul,2 who warned about the seductive mechanization of humanity via ‘la technique’ in the early 1950s, before there were more than a dozen computers in the world, nor William Irwin Thompson, who called me out by name in the 1990s as an enthusiast for the demon of mindless mechanization,3 could have foreseen the complex battle we’ve engaged ourselves in: the same technologies of freedom that make democracy possible are also the technologies of control that enable fascism. The questions that Mumford and Ellul asked were not about a mystical human essence that is endangered by our species’ proclivity for tool-making, but rather they were attempting to address the risk of losing autonomy, the bedrock of liberty. Liberty is a political concept that must be constructed by a literate population, a Gutenberg-era expression of collective action that increases the range of control individuals have over their lives.4 Autonomy, the broad range of activities that an individual has, in theory, some choice about, is fundamental. If we gain health and wealth, amusement and empowerment, through our use of a tool or medium, how have we, by that use, acted to constrain or expand the range of potential choices? The matrix of change for global culture in the twenty-first century is the technology-mediated connectivity among people, data, media, products, processes, places, and devices that began in the nineteenth century and accelerated through the twentieth. The technologies that enable the growing hyper-connectivity are microchips, personal computers, the Internet, mobile phones, bar codes, video cameras, and rfid tags. Such diverse social and economic phenomena as just-in-time manufacturing, virtual communities, online outsourcing, smart mobs, supply chain management, surveillance, and collective knowledge creation are all human socioeconomic behaviours that weren’t possible before connective technologies made them possible.5 While the enabling technologies have received intense attention since the ‘Victorian Internet’6 wired the world at the end of the nineteenth century, less attention was paid until the end of the twentieth century to the social reactions of communication-enabled populations. Perhaps most significantly, Manuel Castells pointed out recently that we live in a network society, not an information society:7 the Phoenicians at the time of the invention of the alphabet or Europeans after Gutenberg were information societies; humans are natural social networkers – cooperative defence and food gathering is probably what enabled out primate ancestors to survive and thrive in a predatory environment.8 But there are natural limits to who any person can network with, how many people they can organize, spread over how large an area, at what speed. The significance of the global technological network is precisely its ability to amplify the scope, reach, and power ideation and socialization: the telephone, the Internet, the digital computer combine to create a worldwide, powerful, inexpensive, radically adaptive amplifier of human social networking capability. The question to ask in this time of turbulent social change is whether our use of connectivity increases or decreases our autonomy. One can sense a paradoxical influence on autonomy – both the individual device such as the personal computer and the aggregated network of the Internet provide more choices for more people. But the technologies of connectivity have been evolving. First, the network was tethered to desktops, then it untethered and colonized the pockets of billions, and next it is going to leap out of the visibility and control of individuals as trillions of smartifacts infiltrate the physical world.9 The technologies that allow widespread creation of culture and political self-organization also support unprecedented surveillance capabilities – surveillance not only by the State, but by spammers, stalkers, and the merely curious. Nobody thought seriously about spams and viruses when the Internet first began to grow, and very few suspected that the first webcam (aimed at a coffeepot in a laboratory in Cambridge, England) would spawn a global, interconnected, cctv web of spycams. How much information about individual data traces left by bridge toll transponders, credit cards, rfid tags, cctv cameras is captured, compiled and datamined? Who designs these connecting technologies and makes decisions about their implicit functionality, such as the things they allow and restrain? Who controls the technologies and the effects they produce? Who defines to which ends these connecting technologies will be used, and what exactly they will be used for – more specifically, to whom will these technologies mean increased freedom, and in what ways will they be used for ever closer scrutiny and control over our movements and behaviour? If we knew the answers to these questions, and didn’t like them, what could we do about it? In a world of prevailing disconnectivity, to be able to connect is a privilege (e.g., the ‘digital divide). In a world of always-on connectivity, this relation might very well be reversed and the real privilege could then be the ability to withdraw and disconnect – to find sanctuary from eternal coercion to communicate, to connect, or to be traceable. In a society increasingly predicated on connectivity and real-time communication and trackability, shouldn’t the ability to withdraw be enshrined as a basic right for all? In other words, in a network society the right to disconnect should be acknowledged as a fundamental human right, as crucial to our mental and physical well-being as the right to food, water, integrity of the body, or protection from political oppression. Without this right to withdraw / dis­connect, the network society indeed becomes an electronic prison of the type Gilles Deleuze muses about in his ‘Postscript on the societies of control’, a society of constant and real-time scrutiny.10 In such a society, freedom, as first of all a particular state of mind relatively free from external coercion, cannot exist, and thus many of the other emancipatory claims made (by myself and others) about the rise of networking technologies and a networking social logic are rendered failed enterprises. Foucault’s notion of the Panopticon is too generic to be productive in understanding all of what is at stake and what could be an effective antidote. The question here is not about whether or not we are scrutinized. That is already a fait accomplit, whether you like it or not. The question is whether we can develop procedures, methods, possibilities, spaces for ‘selective connectivity’, which make it practical to choose to extract ourselves from the electronic control grid from time to time and place to place. Politically, the human right I propose is neither intrinsically a left nor right-wing question – rather it is a question of twenty-first-century democracy. Only when people are free and able to choose can the choices they make be in any sense truly democratic. The right to withdraw from public life into the sacred domain of the private is constitutive of the democratic experience – the seclusiveness of the private enables the public as an alternate role, yet the very possibility of seclusion seems to be at stake in the networked, device-pervaded, communication-and-information-saturated, always-on society. Steve Cisler visits people and organizations not on the Internet. Cisler is a librarian and telecommunications technology consultant. A couple years ago, Steve attempted to get in touch with people who were not or no longer connected to the Internet in the usa, for whatever reason. Some of these people might never have been on-line, others dropped out for economic reasons, and still others deliberately went or stayed off-line. The blog page contains travel stories, interviews, impressions and some pictures of the road trip across the continent that Steve made to talk to the ‘unconnected’. ek: ‘When he did this he went off line for a whole year. I had been in continuous but intermittent contact with him online, and now I am again today, but in this in-between phase, even though he would receive letters to his home address, he completely dropped out of my life – a peculiar experience’ (tingilinde.typepad.com ). Beep FreeDo you need a break from the daily mobile soap? Surround yourself with soothing space. Simply press your pocket-size BuBL device. Release a bubble of silence. You’ll feel pleasantly isolated inside, even in a crowded place. Evaporate all phone signals up to 3m around. Enjoy the silence. Create your Personal BuBL Space. Illegal as hell, but nobody has to ask why it’s so appealing. This is a very funny art project by Arthur Elsenaar and Taco Stolk, both from the Netherlands. They created this battery operated pocket size gsm blocker that blocks wireless signals (it is also Wi-Fi compliant) in an area of approximately 3m around you. What it does is send out white noise on the required frequency bands – a mobile phone or other wireless device interprets this as ‘no signal’ and switches off / disconnects – especially handy in public transport! One reason it is illegal is that this device can also block vital communications (police, ambulance, fire fighters, emergency services, etcetera). The Privacy Card action was an elegant hack of the biggest loyalty card in Germany. The site of German artist Rena Tangens on which this event is presented, offers information and brings the fun back to resistance, but also includes the current prototype of a game on data collection and privacy. This counter-card actually worked – and still does. People can get their bonus reduction without their data being collected (www.foebud.org). iSee is a web-based application charting the locations of closed-circuit television (cctv) surveillance cameras in urban environments. With iSee, users can find routes that avoid these cameras (‘paths of least surveillance’) allowing them to walk around their cities without fear of being ‘caught on tape’ by unregulated security monitors. Check the videos on their site – they are very funny and instructive! 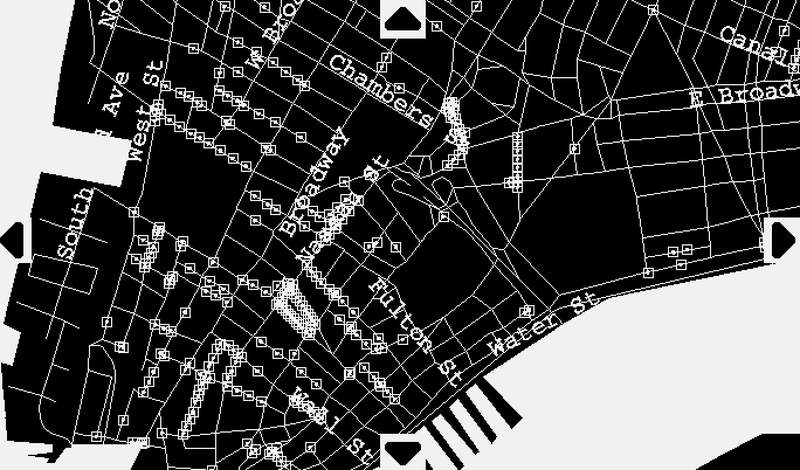 Also good about this project is that they extended the service for hand-held devices so that people can invoke up-to-date paths of least surveillance, add to them on the spot, and share the maps with other users. This project was also implemented in Amsterdam – with a cam-spotting action in public space called ‘Spot the cam in Amsterdam’. For the wedding of crown prince Willem Alexander, an impressive range of remotely operated motorized cameras were placed on the roofs of buildings along the route of the royal wedding parade. The promise was that these cameras would be removed after the wedding, but of course they never were. Weeks after you could see them happily swinging to and fro, focusing on any passer-by – thus the cam spotting action to show this broken promise (www.appliedautonomy.com). This is a street action performance, carried out when mobile phones first started polluting public space in London – two guys in big mobile phone suits literally smash people’s mobile phones on the street, even in a café – amazing!! Funny and subversive / confrontational – grainy but great videos (www.phonebashing.com )! A project proposal by Janos Sugar, a conceptual and media artist from Budapest, Hungary and cofounder of the Media Research Foundation. In Budapest he worked closely together with Geert Lovink for a number of years. In response to a discussion years ago about disconnectivity he came up with the internet privacy switch, which is brilliant in its simplicity, it just disconnects you when you push ‘off’ – the button has the word ‘line’ written on both sides of the switch so that when you push it ‘on’ it says ‘online’ and when you switch it off it says ‘offline’. Janos Sugar - International Corporation of Lost Structures: www.icols.org Media Research Foundation, Budapest: www.mrf.hu. This is a ‘classic’ case of disconnectivity, of course . . . But I think this is an important campaign. Although it refers to an old medium (television), it rings true to the spirit of disconnectivty (www.adbusters.org). With the proliferation of rfid devices and related privacy concerns, it seemed due time to create the rfid Blocking Duct Tape Wallet. There are many ways to prevent Radio Frequency id tags from being transmitted from devices. I often use my work badge and school id which both contain rfid tags. With drivers licenses, credit cards, and cash now beginning to contain rfid tags, why not create a protective wallet (www.rpi-polymath.com). As rfid tags become more pervasive, how does the consumer avoid being tracked? One easy way to subvert the technology is to build a homemade faraday cage around your rfid tags. This project describes how the average person can rip out a pocket from a pair of jeans and replace it with a cotton like fabric which contains enough conductive material to block most rfid tag frequencies (www.electric-clothing.com). The TagZapper™ is being developed to be a light-weight, handheld device for deactivating rfid transmitting devices. This is intended to fulfil consumer demand for a means to protect their privacy (www.tagzapper.com ). ‘rfid washer’ and ‘Be Free of rfid’ are registered trademarks of Orthic Limited. All other trademarks are acknowledged. ‘Our Patented rfid product allows you to locate rfid tags and destroy them forever!’ (www.rfidwasher.com ). An amazing short film of 5 minutes and 30 seconds made in 2004 that projects a near future in which rfid tagging and completely transparent databases merge to make unprecedented on the spot profiling of people possible (www.cinematicfilm.com). A growing number of logistical companies see the advantages and possibilities of rfid for managing large bodies of objects. But to what uses can this technology be applied that are not in the logistical realm? How can it serve and/or change society and human interaction? How does it change the concept of information and information networks as we know them today? This reader compiles a number of resources on the technical and philosophical aspects of rfid (www.mediamatic.net). i-See, The Institute for Applied Autonomy (usa) www.appliedautonomy.com. 1. Lewis Mumford, The Myth of the Machine: Technics and Human Development, (New York: Harcourt, Brace, Jovano­vich, 1971). 2. Jacques Ellul, The Technological Society, Translated by John Wilkinson (New York: Knopf, 1964). 3. William Irwin Thompson, The Americanization of Nature: The Everyday Acts and Outrageous Evolution of Economic Life (New York: Doubleday, 1991). 4. Yochai Benkler, The Wealth of Networks: How Social Production Transforms Markets and Freedom, (New Haven: Yale University Press, 2006), www.benkler.org. 5. Howard Rheingold, Smart Mobs: The Next Social Revolution, (Cambridge: Perseus, 2002). 6. Tom Standage, The Victorian Internet, (New York: Berkley, 1999). 7. Manuel Castells, ‘Why Networks Matter’, in: Helen McCarthy, Paul Miller and Paul Skidmore (eds. ), Network Logic: Who Governs in an Interconnected World? (London: Demos, 2004), www.demos.co.uk. 8. Robert Boyd, Joseph Henrich and Peter Richerson, ‘Cultural Evolution of Human Cooperation: Summaries and Findings,’in: Peter Hammerstein (ed. ), Genetic and Cultural Evolution of Cooperation (Cambridge: MIT Press, in cooperation with Dahlem University Press, 2003). 9. Everyware: The Dawning Age of Ubiquitous Computing, (New York: New Riders Press, 2006). 10. Gilles Deleuze, ‘Postscript on the Societies of Control’, in: idem., OCTOBER 59 (Cambridge, Massachusetts: MIT Press, 1992), 3–7.